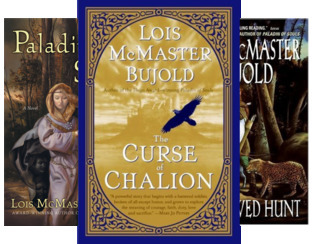 Young adult reads—all first books in series—for this round. 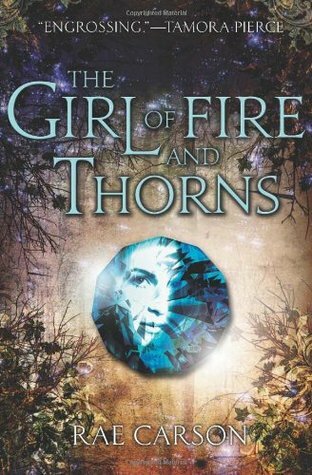 THE GIRL OF FIRE AND THORNS, Rae Carson. A thrilling fantasy about a sixteen-year-old, flawed heroine who becomes the secret wife of a king and is stalked by savage enemies harboring dark magic. If she fulfills a prophecy, she could be a savior. If not, she’ll die young. A quick-paced read and the beginning of an intriguing trilogy. 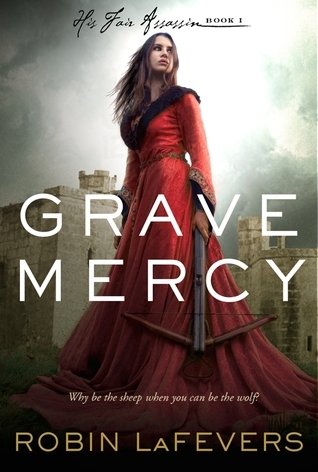 GRAVE MERCY, Robin LaFevers. I adore this book. LaFevers sweeps you into 15th century France with the story of seventeen-year-old Ismae, who escapes a brutal arranged marriage into the sanctuary of the convent of St. Mortain, where nuns serve the gods of old. She’s trained as an assassin, a handmaiden to Death, and thrust into the high court of Brittany—where she finds herself woefully under prepared. Beautifully written, engaging, and the first in LaFever’s fabulous His Fair Assassin trilogy. 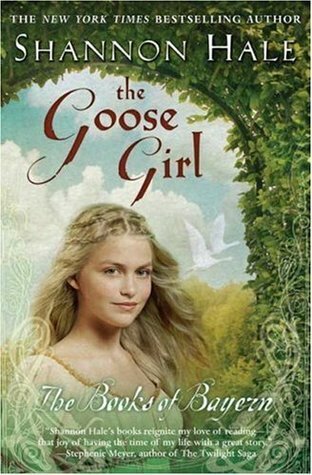 THE GOOSE GIRL, Shannon Hale. Loosely adapted from the fairy tale. Ani is a princess who spends the first years of her life listening to her aunt’s incredible stories and learning the language of the birds. Her story isn’t always pretty, and the beginning can be a bit slow, but overall you can’t help but root for the girl who accepts her “destiny” while looking for ways to shape her world. First in the Books of Bayern series. GODDESS OF THE SEA, P.C. Cast. 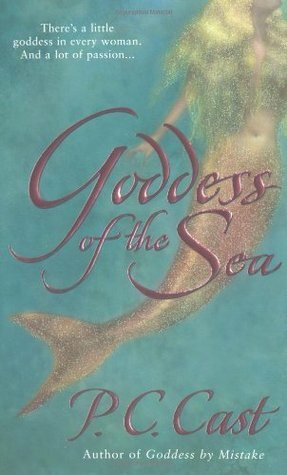 I’m always on the lookout for a good mermaid story and this one sounds promising. From Goodreads: “. . . a series about normal women transformed by their willingness to believe in the spark of the Feminine Devine that makes all women magical . . . celebrates the female viewpoint and the joys to be found in the care of tending of beauty in whatever form it’s found, whether it’s nature, art, or humanity.” First in the Goddess Summoning series. Deadly and delightful–a good description for this round of books. 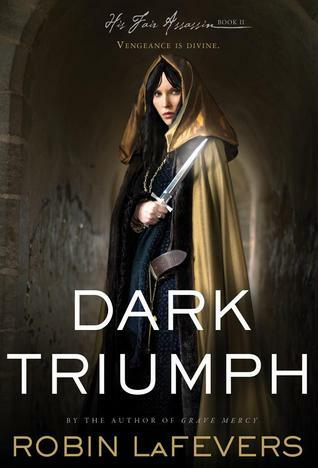 DARK TRIUMPH, Robin LaFevers. Book 2 in LaFevers’s trilogy about nun assassins in 15th-century France. When Sybella arrives at a convent half-mad, she’s taken in and trained to use her skills at seduction and murder on behalf of St. Morain, the Lord of Death. But when she’s forced to return home, she encounters more brutality, along with unexpected love. Fast-paced, exciting. LaFevers grabs you from the first page. 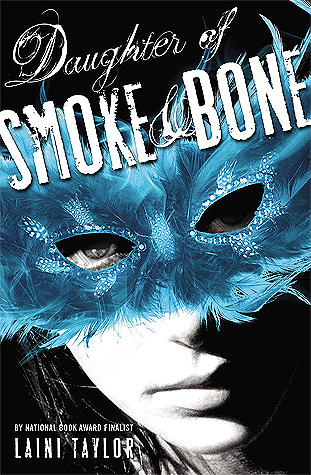 DAUGHTER OF SMOKE AND BONE, Laini Taylor. I loved this first book, the story of art student Karou, a demon who falls in love with an angel. Original, filled with Taylor’s trademark lyrical writing. A terrific example of great story-telling. 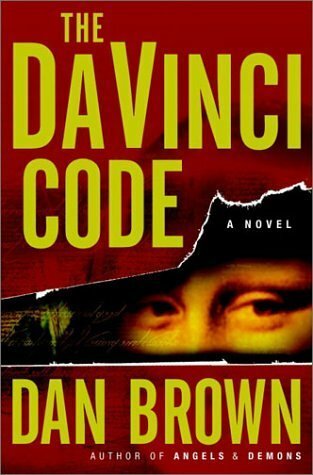 THE DA VINCI CODE, Dan Brown. Yes, I know it’s old, and a bit on the cheesy, formulaic side, but it’s a fun read, with intrigue and deceit and a secret society. Forget the movie, it was awful. Read the book instead and you’ll understand why it was a mega-seller. 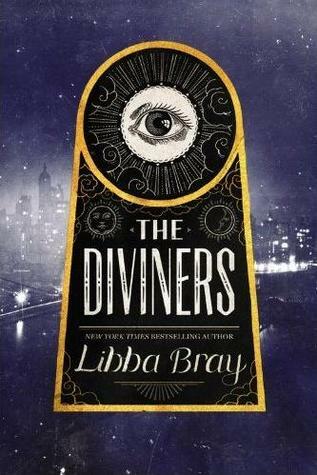 THE DIVINERS, Libba Bray. A girl with a supernatural power in 1926 New York City. Speakeasies, magic, the occult, a bit of horror. Sounds like a good choice for Halloween. 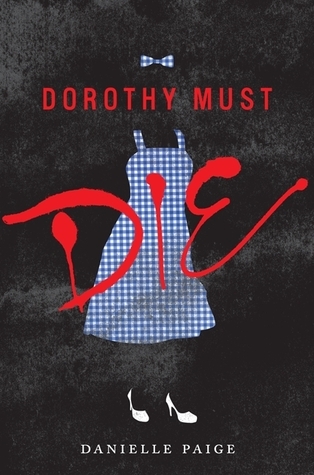 DOROTHY MUST DIE, Danielle Paige. I’m a bit hesitant to read this, as I love The Wizard of Oz and it’s got reviews all over the place on Goodreads–seems like you either love it or hate it. But I’m curious to see what Paige has done with a classic story. Fall is here, a good time to snuggle up with a book and sip mulled cider. 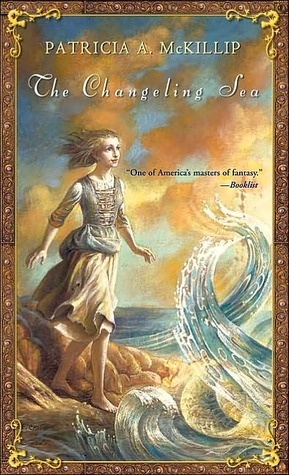 THE CHANGELING SEA, Patricia McKillip. I enjoy this book at least once a year. Peri, who lost her father in a fishing accident, hexes the sea, which brings a young sorcerer and a half earth-bound, half water-bound changeling into her life. It’s short–only 137 pages–but full of McKillip’s trademark magic, mystery, and lyrical prose. CHILDHOOD’S END, Arthur C. Clarke. I don’t read a lot of science fiction, but this one is stunning. Earth is on the verge of world war when spaceships appear in the skies above every major city. Manned by the Overlords, in fifty years they eliminate ignorance, disease, and poverty. Is it really a peaceful invasion or is there something more sinister behind it all? Read and find out! CARAVAL, Stephanie Garber. 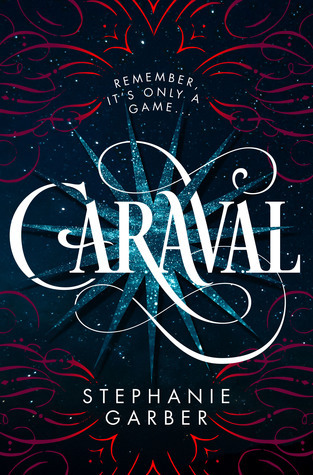 One reviewer on Goodreads calls this a “beautiful story about sisterhood and adventure, full of amazing characters and a delightfully dark world.” Caraval itself is billed as a faraway, once-a-year performance where the audience participates in the show. Sounds intriguing. 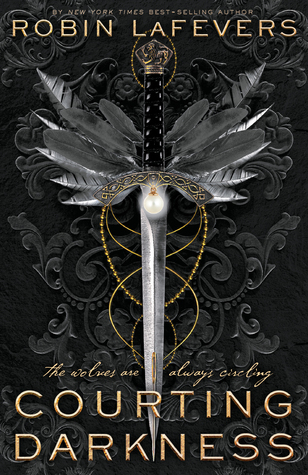 COURTING DARKNESS, Robin La Fevers. Sybella, a trained nun/assassin first seen in Dark Triumph, has a new mission. To keep her two youngest sisters safe, she travels with a duchess to France, where they quickly find themselves surrounded by enemies. Their one hope is Sybella’s fellow novitiate, disguised and hidden deep in the French court years ago by the convent. 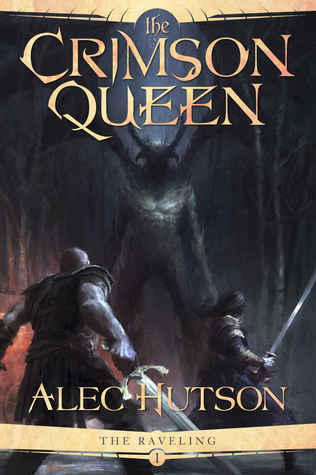 THE CRIMSON QUEEN, Alec Huctson. It sounds complicated–innocent villagers with heroic destinies, holy paladins, clever thieves, spider-filled dungeons, malevolent gods lurking behind the scenes–but has received good reviews. And I like supporting other indie authors.